Happy Sunday! Do you have anything fun planned for the long weekend? Yesterday, I spent a wonderful afternoon at Planta. Rebeca of Wishbone & Clover organized an epic blogger brunch. The tables were beautiful, the food was delicious and the company was even better. As you can imagine, I took a ton of photos. I still have to go through them all, but I’ll be sharing soon. You’ll most likely see them in next week’s reads, eats and buys article. Other than yesterday’s brunch, the rest of my weekend is looking to be pretty quiet. I’m just excited to see the sun shining and a glimpse of spring weather. If you’re looking for some articles to read, recipes to make, or things to buy, here’s this week’s reads, eats and buys! 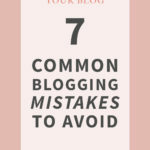 How Blogging Has Boosted My Confidence – This is a shameless plug, since I wrote the article…but I think it’s a good one and you should definitely check it out! 5 Budget-Friendly Ways to Spruce up Your Place – If you’re looking to get a head start on spring cleaning and re-decorating, Alicia has some great ideas. 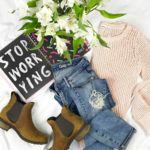 Secrets to Creating a Cohesive Instagram Feed – A lot of us want to create a cohesive Instagram feed, but don’t know where to start. You may find this article inspiring. How to Prevent Hair Breakage – Since moving to a new town a few months ago, my hair has been driving me nuts! The water is different and my hair feels more thinner and more brittle. I’m taking some of these tips to heart. I’m also getting my hair done this week. Any ideas? Easy Ways to Eliminate Negativity From Your Daily Life – I love these simple reminders…because I can be pretty negative! Peanut Butter Oreos – Need I say more? Smashed Chickpea Avocado Sandwich – This sandwich is like a hybrid between guacamole and hummus. Since those are two of my favourite things, this combo sounds so good! Sweet Potato Polenta with Fried Eggs – I usually like to go out for brunch, but this recipe is a winner. Goat cheese, sweet potatoes, polenta, and a perfectly runny egg? Yes, please. Portobello Mushroom Galette with Buttery Gruyere Crust – I love making sweet galettes, but I’ve never made a savoury one before. This is a must-try recipe! Blank Denim App Happy Straight Jeans – These are a gorgeous pair of jeans for spring, complete with a frayed step hem. Steve Madden Jaylen Wedge Sandal – The temperatures finally get above freezing, and I’m already dreaming about new sandals. ASOS Premium Satin Bomber in Floral Print – This jacket is a total steal at $29! J.Crew Cotton Jackie Shell – Can I have this tank in every colour please and thank you? One By Stylekeepers Modern Vintage Top – I’m not sure if I could pull this off, but I love the fun details. What do you think of this week’s reads, eats and buys? 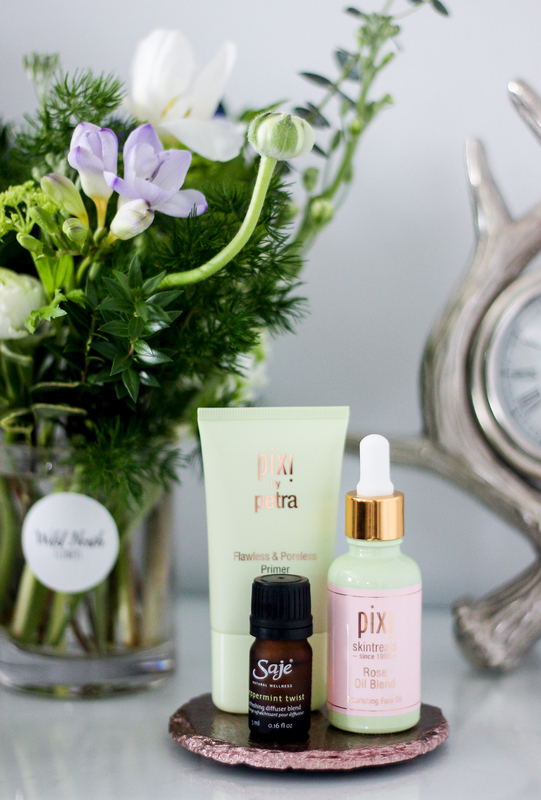 I have yet to try Pixi products, will definitely look into it!